I'm sure you agree that this (and only this) makes sense .. and the first situation didn't. The only problem is .. It needed some setup. If this isn't running, none of it all will work. Furthermore, NAV 2009 and NAV 2013 aren't configured as being shared at all. This involves some manual configuring..
Let's now focus on the NAV2013-part (you most probably figured out how to do all this in NAV2009 anyway ;°)). What happens when you're using the Microsoft Dynamics NAV Administration tool? I'm not caring about the account right now, because that's beside the point of the blogpost.. . Normally, I would always use a service account, just because of "best practices" of installing and running services on multiple tiers... . Note that I'm already running a default installation-instance, called "DynamicsNAV70". And when you're checking the log, it actually says that the Port isn't shared. Well, it's actually no hocus pocus .. . Starting the NetTCPPortSharing service isn't enough .. I also have to change the service-configuration for using NetTCPPortSharing, the default instance that came with the setup DVD, is not sharing its port, thus claiming it, which makes it impossible for my second server to also use the default ports. Not exactly. When you're using a dedicated service account, things might become a slight more difficult. But I'll keep that for coming blogs… (as this hasn't anything to do with portsharing..). Is there a maximum number of NST's that we can put up on 1 port? Are there any consequences if we install a large number of NST's on 1 port? Thanks for the tip :-). 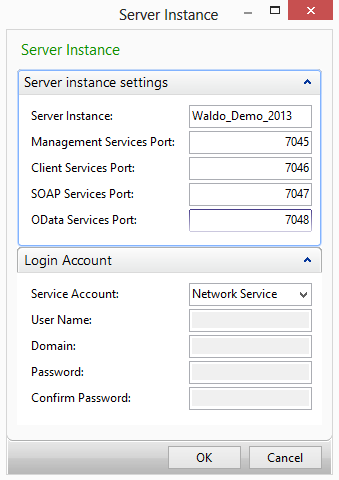 Then its easy to manage NAV-services. Now I finally got the time to test it. Works fine, as long as you remember also to do the port sharing for the standard instanse. Thanks for sharing. Managing all these different port numbers has been a nightmare since NAV 2009. Looking forward to test your solution. 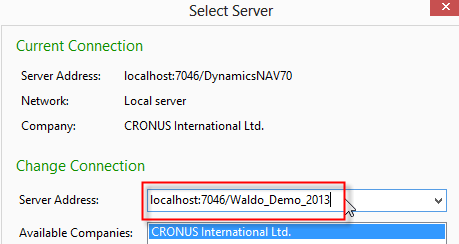 right .. just saw you were talking about NAV2009 ;-) .. while I was still in NAV2013 with my mind ;-). 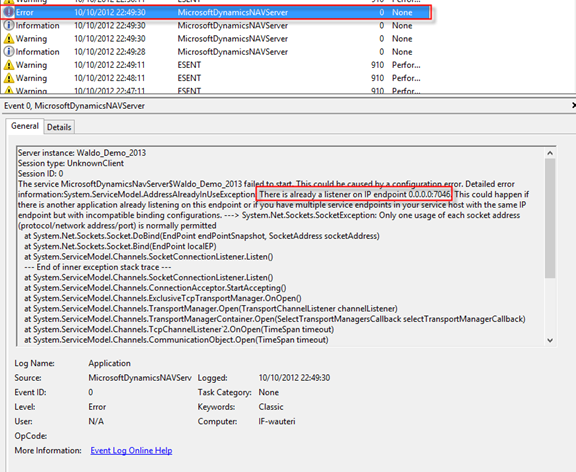 Very important when creating a new service (NST) is also to give it an instance in the binpath. This is because NAV uses the ProgramData directory. When you don't give it an instance, every assembly, temp, ... is created in the same folder. You must give it an instance so NAV can use a different directory in the ProgramData. Today I had the issue that NAV said sth. 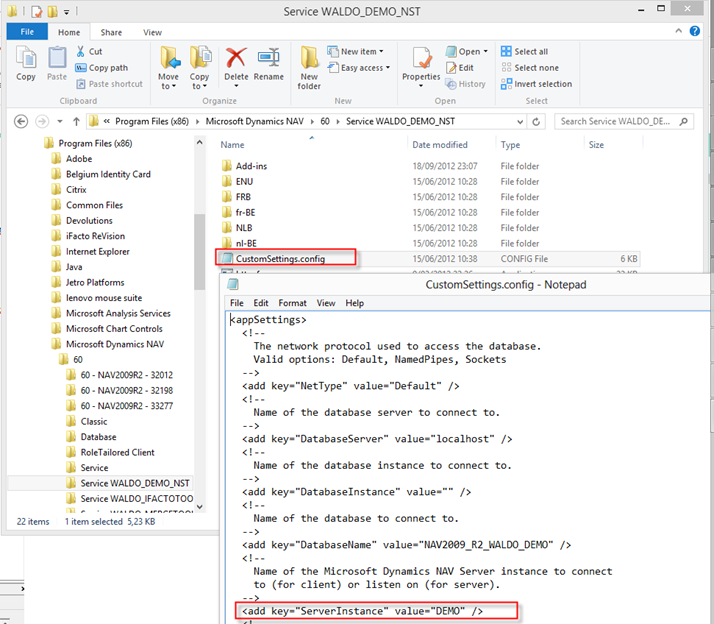 like "Meta data for object XMLport 50000 is in an inconsistent state, which [...]" and with the ProgramData directory. After creating the service new, the issue was solved.